For Andy Hope 1930’s exhibition at Hauser & Wirth Zürich, ‘UNappropriated Activities’, Hope will present new series of paintings, works on paper and sculpture. 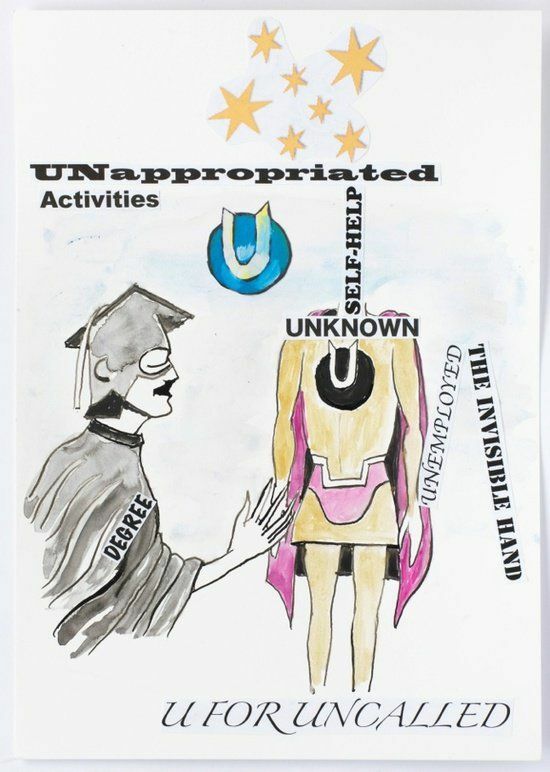 ‘UNappropriated Activities’ draws together motifs from cosmic phenomena, self-portraiture, and superhero fiction to explore existentialism and contemporary society. The resulting highly personalised cosmology and invented histories on view in the exhibition are linked to canons such as constructivism, suprematism and the foundation of 20th century abstract art. The very title of the exhibition, ‘UNappropriated Activities’, starts the game like an unexpected movement from a reflection in a mirror or a pirate’s retort. With the addition of a short syllable, the artistic process of appropriation – now the standard of nearly any artistic act – is itself hijacked… and twisted. Suddenly, the unnameable, the untold, the uncalled is back. The prefix ‘un’ calls to mind a whole series of ‘uncanny’ or ‘unpleasant’ figures. One could blame a virtuoso of linguistics such as Jacques Lacan or the world of horror movies for the incalculable power of this circulating negative. With a conviction equal to or greater than these, however, Andy Hope 1930 uses such words to examine the tangible and oppressive reality of neoliberal working and living conditions. He focuses on the devastating consequences of isolation that social life has attained under the banner of self-optimisation and flexibility, the ‘vertical horizon’ that everyone maintains on his touchscreen as his own domain. And, like the ‘anti-hero’ of the comic ‘The Adventures of Unemployed Man’, who turns the world of good-fighting-against-evil on its feet and brings the desire for grandiose actions back to earth (the lonely reading fan), Andy Hope 1930 projects his inversion – the jobless superhero – onto the no less fantastic stage of high culture, where the belief in the inexhaustible genius of the artist still prevails, while the details of his unbelievable commercial success are sold off as fodder for celebrity magazines. Every period writes this dream with a new name and new works – and new victims: ghosts that no one knows anymore or will admit to have known after they have left the spotlight. The exhibition ‘UNappropriate Activities’ brings a false vocabulary into the brave new world of success – ‘U for Uncalled’ or ‘U for Untold (three-way conversation)’ (2014) – but does not provide a simple or comforting alternative world. Instead, Andy Hope 1930 represents himself in the role of the ‘unappropriate’ teammate: as a ‘Master of Degree’ (2014) who steadfastly clutches his certificate, or as an attentive advisor in a conversation with his own reflections. On the one hand, he develops a trenchant parody of the figure that he could be; on the other, he has driven his paintings to an unsettling extreme, far from clear figuration or tangible representation, but also outside of any common features of solid painterly quality. A black oval (from the series Infinity Crisis) is reminiscent of the icons of Modernism that Malevich first exhibited precisely 100 years ago, but Andy Hope 1930 mixes trust in the reference to high culture with the feeling of standing on the margins of a cheap horror movie. This ‘nebula’ conjures up the shadow of a face and portrays it at the same time, elliptical like the orbits of the planets, as a passageway into a black hole. The poles of the contradiction are even more extreme in the case of the stars of ‘transcendence’, pictures such as ‘Nullus’ (2014) and ‘Ullus’ (2014), in which defection from simple decoration is reduced to a minimum. Every possible new material is used, from strange sprays to effect paints, or leather instead of canvas. This is the foundation for the signs of cosmic visions, sketches of an infinite world, distant from all earthly problems. Whether in ancient Babylon or recent Hollywood, stars signify a life in the glow of the gods, and this is all the more true the further great success recedes from sight. Thus, Andy Hope 1930’s works could be seen as the unspeakable thoughts of the hero who, with a ‘U’ (for unemployment) on his chest, haunts the story of this exhibition as a subject: as luminous as illusion, as dark and raw as exclusion from society. Today the threat of being laid off is discussed during job interviews and functions as a guarantor of limitless commitment during employment. In art only one thing can guarantee such a ‘contract’: the proviso that the artist doesn’t venture out of his territory. This is why, with ‘UNappropriated Activities’, Andy Hope 1930 creates a landscape of his own art that imperceptibly breaks down its own boundaries in every direction.